It’s been a while since our last update, and we’re happy to report that a new build is now up. With the addition of the Mac build, the game is now officially available on all three major desktop operating systems. The new build has a bunch more usability and bug fixes, taking us closer to a final 1.0 build. 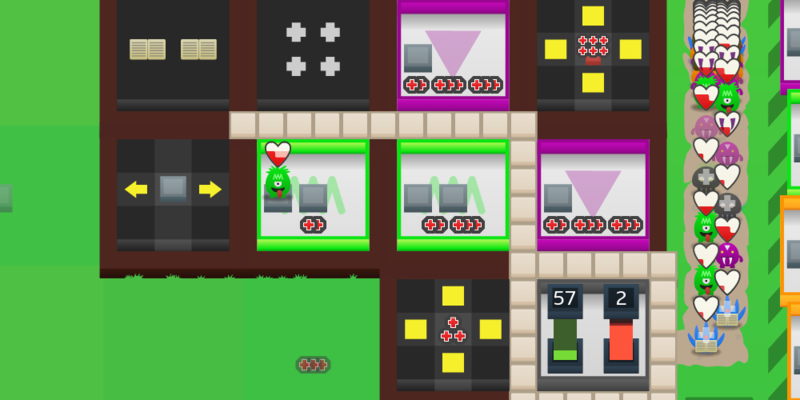 In addition, we’ve added more levels to the full version of the game. Finally, we’ve added two new music tracks to the game courtesy of Francois and Simon de la Rouviere. Their tracks join the one we had previously which was made by Niel de la Rouviere, giving us a full set we are very pleased to have. As stated, we’re very close to release. To get there, we will still be paying attention to adding more levels in the game as well as fixing the remaining bugs that are still in the game. Finally we hope to finish the mobile version of the game, which will be coming out on Android first, followed by iOS if the demand is there. That’s it for now, those of you have already bought the game through the Humble widget should be able to download the new version already.